Come join the local university and business communities leading the way–clean energy and green products and services. You’ll learn about research and start-ups spanning the University and beyond. You’ll hear from women cleantech leaders on the industry and career tips. Participate in one, two, or three great events! Easy-access location: The Extravaganza takes place at the Stamp Student Union at the University of Maryland-College Park, February 23rd, 11 am – 8 pm. It is Metro accessible via the Green Line and a free University Shuttle. See Metro and parking info here. See Stamp Student union map here. 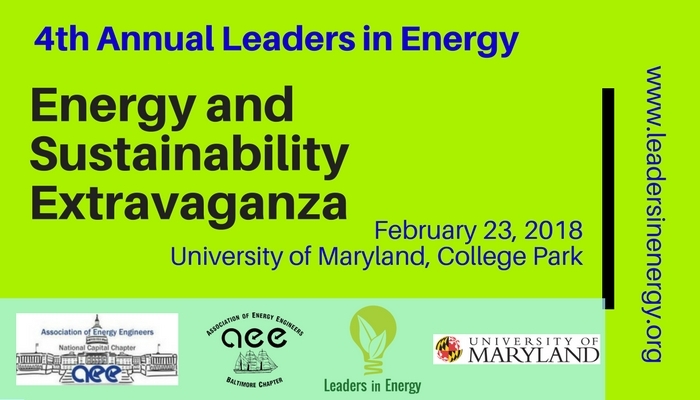 The Extravaganza provides a unique opportunity to connect with professionals in the clean energy and sustainability community, including Leaders in Energy, the Association of Energy Engineers membership, the University of Maryland academic community of professors and students, Cleantech businesses, and others. Students and jobseekers who are interested in the green tech and services field will have the opportunity to engage with others who are working in this area. Our Exhibitors include: Advanced Biofuels Association, Association of Energy Engineers/CWEEL, Clean Energy Business Network, Goefer, InScope, Leaders in Energy, Lockheed Martin, Mosaic Power, Nissan, Recurrent, Shannon Enterprises, Standard Solar, Water Management Inc., Maryland Energy Innovation Institute, and School of Public Policy. Registration links and prices are available below. Rosa Cassidy, C.E.M. is a mechanical engineer with 24 years of experience in the energy sector. 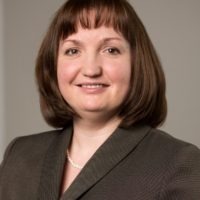 Ms. Cassidy currently serves as Deputy Director of Lockheed Martin Energy. She ensures an integrated approach to market for Demand Side Management solutions (energy efficiency, demand response, customer engagement), distributed energy solutions (non-wires alternatives, distributed generation, combined heat and power and storage), and technology solutions. She is responsible for identifying where Lockheed Martin Energy’s strengths meet market needs. In 2002, Cassidy received the Women of Color in Government & Technology Awards, Technical Innovation. In 2011, she was awarded Lockheed Martin’s Individual Excellence Award for her contributions to the Energy Solutions Group. She participates in Lockheed Martin’s efforts in support of the National Engineering Festival, the National Engineers’ Week and STEM – three national outreach programs for students K-12 designed to promote curiosity in young minds for the engineering field. In 2013 she served as co-chair for Lockheed Martin’s Hispanic Employee Resource Group. 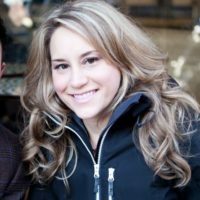 Cassidy is a graduate of the Catholic University of America with bachelor’s and master’s degrees in mechanical engineering. 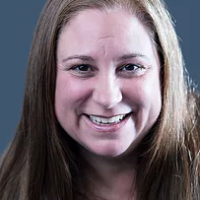 Katherine Magruder is the Executive Director of the Maryland Clean Energy Center, a corporate instrumentality of the state created to advance the adoption of clean energy products, services, and technologies. 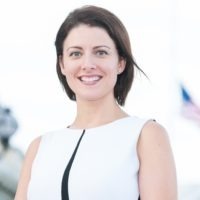 Ms. Magruder previously held the position of Chief of Staff at the University of Maryland Biotechnology Institute, known for performing cutting edge research and transfer of newly discovered technologies to commercial applications. During her appointment to the Maryland Department of Business and Economic Development she served as Director of Resource Based Industries, and built a program focused on sustaining agriculture, forestry, mining, fisheries and maritime industry sectors. Magruder has also led regional agribusiness and ecotourism initiatives focused on environment, economy, and cultural character in effective sustainable development. She is recognized as a Certified Economic Developer by the International Economic Development Council. Kathy earned her BFA in Fine Art from the Maryland Institute College of Art in 1982. Laurie Vaudreuil, is the CEO of Mosaic Power. Mosaic is a third-party aggregator of residential electric water heaters. Their system pulls together thousands of water heaters into a single entity of controllable energy storage by delaying when individual heaters draw or consume power from the grid. Mosaic operates as part of the larger universe of distributed energy resources (DERs). Often loosely and variably defined, DERs encompass a range of technologies or approaches – such as demand response, storage, distributed generation, and electric vehicles – that can supply or consume energy (or both) and also be controlled, which is what makes them resources. The key technologies enabling the spread of DERs are machine-to-machine connections over the Internet, and cloud computing technology. Vaudreuil has strong past experience with power applications. She is currently focusing on developing the business side of the company using her experience with fundraising, direct sales, and project management. Vaudreuil received a BS in electrical engineering from the University of Texas-Austin. 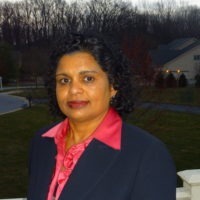 Dr. Nandini Mouli is the President/Founder of eSai LLC, an energy engineering and business consulting company located at Reisterstown, Maryland. 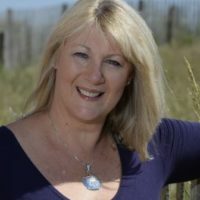 Prior to starting eSai LLC, she managed energy and chemical businesses at DuPont and at Maryland Energy Administration where working with the Maryland utilities, implementation contractors and stake-holders she helped bring the financial incentives for Combined Heat and Power program for the first time in Maryland. For its contributions in the clean energy field since inception, eSai LLC received the “most innovative small business of the year” award and “strategic partnership award” finalist from the Greater Baltimore Council in November ’15 and ’16 and was invited to meet with the Department of Energy Secretary, Dr. Moniz, and the US congressmen on April 23, 2016 at the Capitol Hill. Mouli is an inventor who holds 49 patents in the chemical and energy fields. She has written over 10 white papers on climate change and HVAC processes and materials. She was a US Fulbright Scholar finalist and is a certified Six Sigma Black Belt. 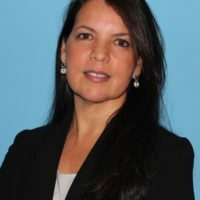 Currently she has been serving as the President of Association of Energy Engineers – Baltimore and a Board member of the international Council on Women in Energy and Environmental Leadership (CWEEL). Numerous University of Maryland (UMD) departments are participating in the afternoon Showcase along with cleantech businesses and startups. UMD Departments include the Department of Engineering, Center for Global Sustainability, Maryland Technology Enterprise Institute, and more! Prince George’s Green is designed to be a catalyst for the green economy by providing green workforce development and green business development. Lincoln has been a community organizer in Prince George’s County for 25 years. Lincoln has served as Legislative Aide to State Senator Paul Pinsky and continues to work on legislative issues in Maryland. She also worked for the University of Maryland Environmental Finance Center. She currently teaches at Prince George’s Correctional Facility as well as churches and community centers around the County; chairs the Green Technology and Sustainability Committee for the Prince George’s Chamber of Commerce; is a member of the Prince George’s Department of Environment Advisory Committee; a member of the Prince George’s County Public Schools Environmental Literacy Steering Committee; and sits on the Board of Community Forklift. She is passionate about matching people who most need the work with the work that most needs to be done. Lincoln is a University of Maryland alumnus. Dr. Hwang has 35 years of experience in research and development of energy conversion systems and energy efficiency enhancement. Over the last decade, he has focused on the enhancement of the thermal system energy efficiency by developing innovative processes and improving existing processes. Dr. Hwang has two hundred fifty publications, numerous invention records, ten patents, and co-authored ten books and book chapters. Dr. Hwang founded the Heat Pump Laboratory in 1993 and is the associate director of the Center for Environmental Energy Engineering (CEEE) at the University of Maryland. The Center is taking the lead in developing energy conversion systems that are highly energy efficient, use the minimum amount of materials and have the lowest first cost; i.e. systems that are Lean and Green. Research is organized in consortia that are sponsored by government, research institutions, and over 30 companies worldwide. Dr. Hwang’s external service includes international activities such as a chair of LCCP working party and a vice president of Commission B1 of the International Institute of Refrigeration (IIR), as well as invited lecture tours to overseas. He holds memberships in the American Society of Heating Refrigeration and Air-conditioning Engineers (ASHRAE), the American Society of Mechanical Engineers (ASME), the Society of Automotive Engineers (SAE), and International Institute if Refrigeration (IIR). 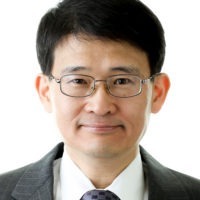 Dr. Hwang has served as the editor for Energy Journal since 2015. He is a fellow of ASME, recipient of Best Paper Awards from ASME International Mechanical Engineering Congress and Exposition (IMECE) in 2016 and 2017, and Vehicle Thermal Management Systems (VTMS) 10 Conference in 2011, and ASHRAE Distinguished Service Award in 2010 and AHSRAE Exceptional Service Award in 2013. Peter Sandborn is a Professor in the CALCE Electronic Products and Systems Center and the Director of the Maryland Technology Enterprise Institute (Mtech) at the University of Maryland. Mtech is the focus of technology entrepreneurship programs at the University of Maryland and the home to four incubators, the Maryland Industrial Partnerships (MIPS) funding program, and undergraduate and graduate entrepreneurship education programs. Dr. Sandborn’s research group develops life-cycle cost models and business case support for long field life systems. This work includes: obsolescence forecasting algorithms, strategic design refresh planning, lifetime buy quantity optimization, outcome-based contract engineering, and return on investment models for maintenance planning (including the application of PHM to systems). Dr. Sandborn is the developer of the MOCA refresh planning tool. 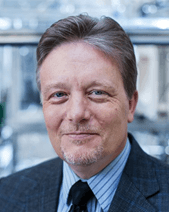 Dr. Sandborn is an Associate Editor of the IEEE Transactions on Electronics Packaging Manufacturing and a member of the Board of Directors of the PHM Society and International Institute of Obsolescence Management (IIOM). He is the author of over 200 technical publications and several books on electronic packaging and electronic systems cost analysis. He has a B.S. degree in engineering physics from the University of Colorado, Boulder, in 1982, and the M.S. degree in electrical science and Ph.D. degree in electrical engineering, both from the University of Michigan, Ann Arbor, in 1983 and 1987, respectively. He was the winner of the 2017 ASME Kos Ishii-Toshiba Award. 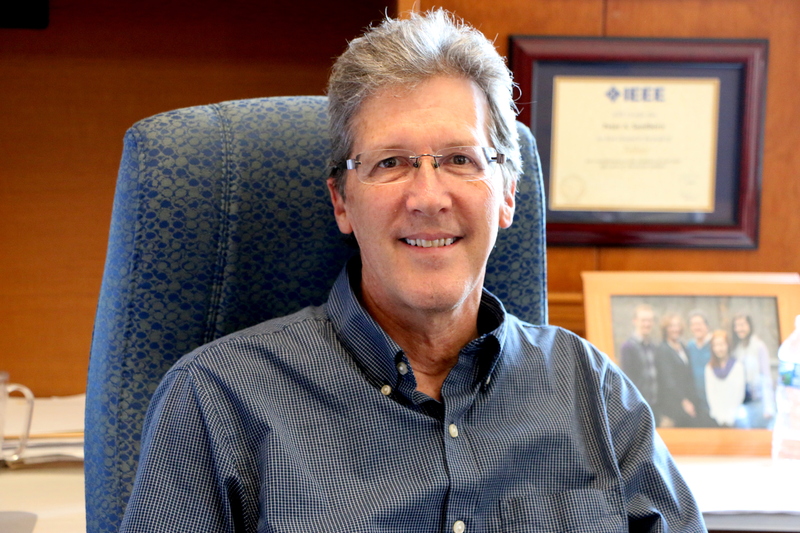 He is a Fellow of the IEEE and the ASME. Nathan Hultman is Director of the Center for Global Sustainability and Associate Professor at the University of Maryland School of Public Policy. He is also associate director of the Joint Global Change Research Institute, a collaboration between the University of Maryland and the Pacific Northwest National Laboratory. From 2014-2016, Hultman worked at the White House on the Obama Administration’s climate and energy policy team. During this time, he helped develop the US 2025 climate target, worked on U.S. bilateral engagements with China, India, Brazil and others, and participated in the international climate negotiations in Lima and Paris. His research focuses on national climate target-setting and assessment, U.S. emissions mitigation policy, energy technology transitions in emerging economies and international climate policy. He has participated in the UN climate process since the Kyoto meeting, and is a contributing author to the IPCC Fifth Assessment Report and Special Report on Renewable Energy. He teaches courses on climate change policy and energy policy. 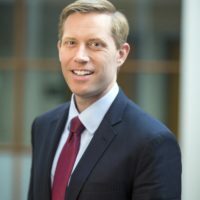 Hultman is also a nonresident senior fellow at the Brookings Institution, and was formerly a visiting fellow at the University of Oxford, assistant professor at Georgetown University, Fulbright fellow and NASA Earth Systems Science Fellow in climate sciences. He holds an M.S. and Ph.D. in Energy & Resources from the University of California, Berkeley and a B.A. in Physics from Carleton College. Mark helped launch the Office of Sustainability in 2007 and has developed and supported various sustainability programs in his time at the University of Maryland. He leads efforts to reduce the university’s carbon footprint, administers the University Sustainability Fund, and runs educational programs that aim to prepare every University of Maryland student with the skills they need to be change-agents for sustainability. 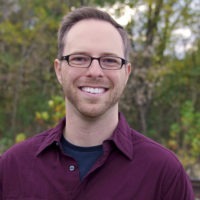 His work on integrating sustainability into the student experience was published in the Journal of Sustainability Education and in a book on ecological education. Mark earned a master’s degree in Higher Education Policy & Leadership, bachelor’s degrees in Environmental Science and Organizational Psychology, and is a LEED Accredited Professional. Prior to working at UMD, he taught high school earth and environmental sciences, worked as a GIS specialist, and worked in organizational development. 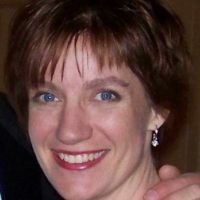 Alla McCoy joined the Office of Technology Commercialization in 2013 as a Technology Licensing Associate for Information Sciences. Prior to OTC, Alla worked at the University of Maryland’s Dingman Center for Entrepreneurship designing and managing experiential learning opportunities for student entrepreneurs. During her tenure, Alla also worked with regional entrepreneurs and investors, in particular she managed Dingman Center’s angel investor group. Prior to joining the Dingman Center, Alla spent 8 years in the publishing industry. She led marketing, publicity, and sales efforts for small independent publishers specializing in professional, trade, and academic titles. Alla completed her MBA at the Robert H. Smith School of Business, University of Maryland, in May 2013, and received a B.S. in Computer Science and a B.A. in English Language and Literature and from the State University of Moldova. Lynn Abramson is the Executive Director of the Clean Energy Business Network (www.cebn.org), an association of 3,000+ business leaders working across every aspect of the clean energy economy. The network’s members are predominantly C-suite executives of small- to medium-size companies providing technologies and services in energy efficiency, renewable energy, natural gas, or other advanced energy and transportation sectors. Lynn leads the CEBN’s efforts to inform and engage these business leaders in policy issues impacting the industry, educate the public and policymakers about diverse energy technologies, and provide resources to help members address common business challenges. Highlights on electric vehicles, green buildings, efficient water management and other clean energy and sustainability solutions will be presented by a number of our Business Exhibitors. The Maryland Energy Innovation Institute was created by the state of Maryland to turn research breakthroughs by Maryland academic institutions into commercial, clean energy solutions that meet the needs of the state and its people. Christin Sun has 15 years of experience in the fields of lighting and energy efficiency. Christin has spent the last ten years working on Maryland’s Commercial and Industrial Energy Efficiency Programs. Most recently, her role as an Account Executive at Lockheed Martin has allowed her to work with Pepco’s small business customers to save energy and money.